I’ve been trying to post this recipe in the notes of Kitchen Kemistry’s Facebook page, but was unsuccessful. I tried doing it in Google chrome and IE. Both didn’t work. Finally, I gave up and decided to post it here. 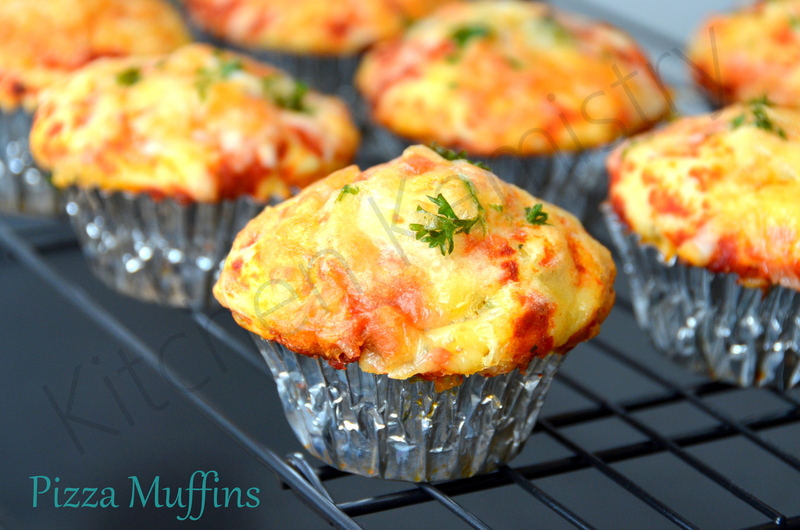 I make these muffins often and have packed for friends. It’s a hit and a treat by itself. This also makes a great party food. Try these when you’re in a mood for pizza but do not want a full on one.